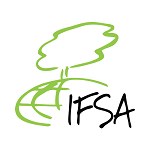 Open Call for IFSA Official Positions! Note: The LO FAO position has now been filled – 27th December 2014 A new and exciting opportunity is here. If you are looking for ways to get more involved in IFSA, this might be your big chance. The position for LO FAO is now open. You might be asking yourself what an LO is?